Buy Curious: I'm in the market for a pied-à-terre. What should I know? For out-of-towners who want their own slice of the Big Apple, a pied-à-terre can be the perfect solution. 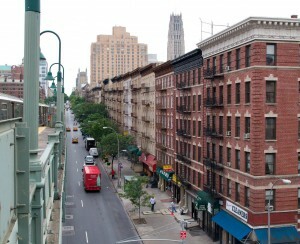 But what should you look for when buying a second home in NYC? 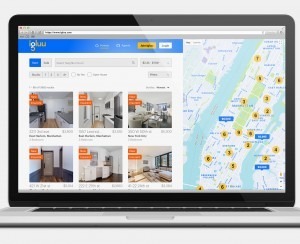 Shannon Aalai of Citi Habitats lays out the key features in this week’s Buy Curious. An alcove studio—an L-shaped studio in which the short leg of the “L” can be used as a separate sleeping or dining area, and can sometimes be walled off into an actual bedroom—is a good option, especially if you're traveling with a companion. Unfortunately, your $400,000 budget won’t be enough to get you an alcove studio in a prime area of Manhattan, as the average price for this type of unit in a condo building was approximately $585k in the last quarter of 2013. (And you probably don't want a co-op for the reasons below.) That said, if you're open to looking in other parts of the borough, you should be able to find something. Condos: Condos have fewer restrictions than co-ops when it comes to how you can use them. Pied-à-terre use is typically no problem, and the unit can even be rented out full-time as an investment property. Foreign buyers looking for a pied-à-terre should also stick with condos as co-op boards often want to see U.S. tax returns, which can present a problem for those who work outside the U.S. Even at the few co-ops that do allow pieds-à-terre, you’ll have to go through a full board process, which includes an interview, and some buyers might not want to go through such a lengthy ordeal for a part-time home. Concierges: Buildings that offer concierge services are in high demand among frequent travelers because they can help plan your stay, including making travel arrangements and restaurant reservations. Common areas: Communal terraces, roof decks or residents’ lounges—where you can entertain guests or business associates outside of your (possibly) tiny temporary living space—are also popular amenities. And the presence of on-site gyms and/or spa services is always a plus. Hotel-like amenities: Buildings with services like doormen, housekeeping, laundry and even room service are often favored by pied-à-terre seekers, as they can make whatever time you spend in your second home feel like a vacation. Transportation access: Since many pied-à-terre buyers can’t or don’t bring their cars here, buying a place that’s a stone’s throw from the subway is key. How do you feel about Murray Hill? Murray Hill studio/1-bathroom condo, $449,000: This studio at 155 E. 34th St. between Third and Lexington is just one block away from the 6 train. And while it’s only 405 square feet, it does have a space-saving Murphy bed, so the place might feel larger when the bed is put away. The full-service building has a concierge, a roof deck and a garage. But at $449k, is it too expensive for you? Murray Hill alcove studio/1-bathroom condo, $379,000: This 500-square-foot alcove studio at 330 E. 33rd St. between First and Second Aves. is located in a building with a doorman and health club. While the apartment doesn’t have a separate sleeping area, it does have a separate kitchen and a large dressing area. It’s also on a high floor so it has great views. Most importantly, it’s within budget at $379k and monthly charges are low (common charges are $281/month and taxes are $304). But the place is in need of a bit of TLC, which you might not have the time or inclination to give it from afar. Want to plant your pied-à-terre flag on the Upper East Side? Upper East Side studio/1-bathroom condo, $420,000: This pre-war studio at 237 E. 88th St. between Second and Third Aves. is small in size, but big in charm. Fully renovated, the second-floor brownstone walk-up unit has hardwood floors, 9.5-foot ceilings, an open kitchen with stainless steel appliances and new windows. It’s a good deal at $420k (even though a bit higher than your budget cap), and the monthlies are low (common charges are $208 and taxes are $393). There is currently a tenant in place until September 2014, so if you want to buy the place and earn some income for a few months, here’s your chance. 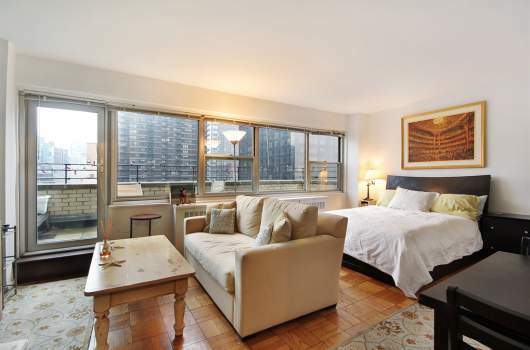 Midtown East studio/1-bathroom condop, $459,000: This 19th-floor studio at 333 E. 46th St. between First and Second Aves. is set up so that you can still create a separate sleeping area even without an alcove. 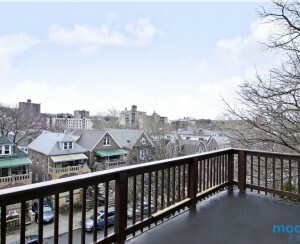 And the building boasts a full-time doorman, a live-in super and a communal roof deck. At $459k, it’s a tad pricey, but it’s in a prime location near Grand Central and has a spacious 160-square-foot terrace that runs the length of the unit, making it an attractive property. Also, it’s a condop (essentially a co-op with condo rules), which means that the approval process should be relatively easy. Want to give Turtle Bay a try? Turtle Bay studio/1-bathroom condo, $485,000: This gorgeous pre-war apartment at 865 United Nations Plaza between E. 48th and E. 49th Sts. is large at 500 square feet, and has a fully renovated kitchen and bathroom, as well as beautiful beamed ceilings and hardwood floors. At $485k, it’s out of your price range, but monthlies are low—common charges are $397/month and taxes are $251/month—so you might still be able to swing it. 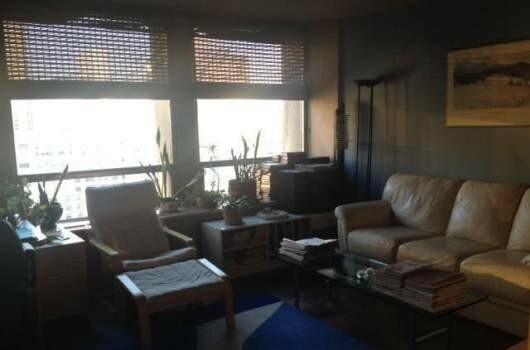 Battery Park City alcove studio/1-bathroom condo, $525,000: While it’s significantly over-budget at $525k, this 550-square-foot alcove studio at 200 Rector Pl. 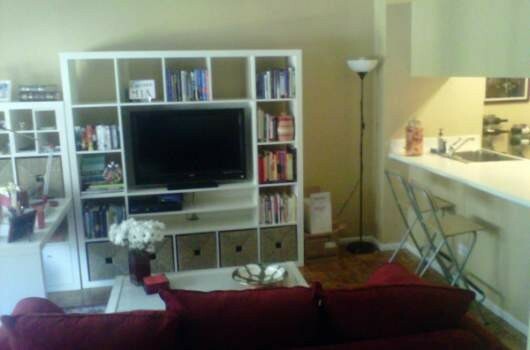 between West St. and South End Ave. is still a great deal at under $1,000 a square foot. The unit can easily convert to a 1-bedroom that will have both a window and a walk-in closet. There’s also a doorman, lounge and roof deck in the building. 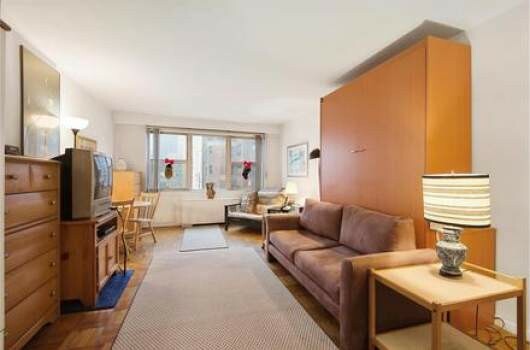 At $525k, this Battery Park place at 200 Rector Pl. between West St. and South End Ave. is a bit too steep, but it’s a real alcove studio that can even be converted to a 1-bedroom. 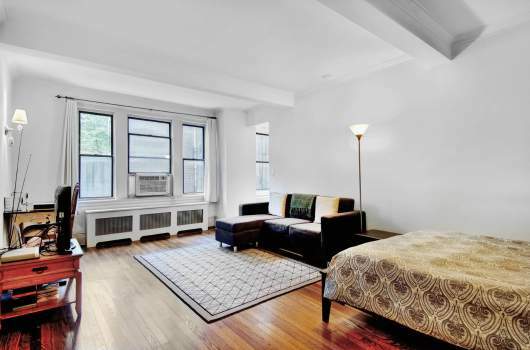 Although this pre-war studio at 237 E. 88th St. between Second and Third Aves. is 20k above budget, it’s fully renovated and has low monthlies. 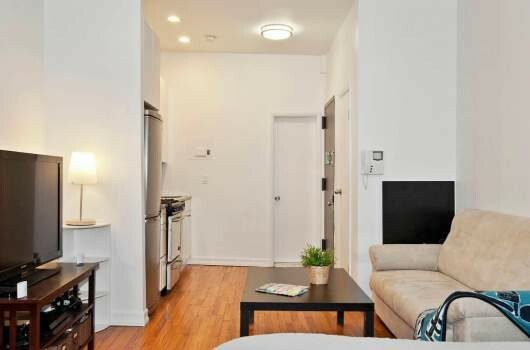 Although small, a Murphy bed adds the illusion of space in this $449k studio at 155 E. 34th St. between Third and Lexington Aves. This Murray Hill alcove studio at 330 E. 33rd St. between First and Second Aves. is a bit of a fixer-upper. Will our buyers want to oversee renovations from afar? Does the 160-square-foot terrace attached to this 19th-floor condop studio at 333 E. 46th St. between First and Second Aves. make it more tempting to sign on the dotted line? At $485k, this 500-square-foot pre-war condo at 865 United Nations Plaza between E. 48th and E. 49th Sts. is pricey, but its low monthly charges and pristine condition might be tempting.